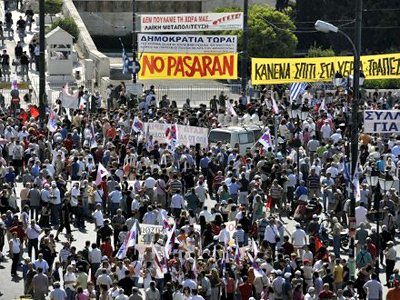 On the streets of Athens the voices of discontent are growing louder. 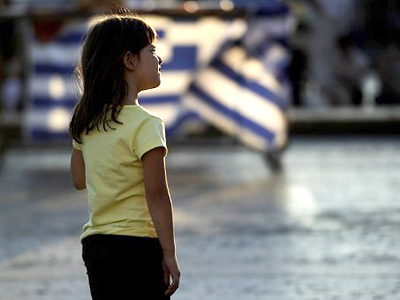 From the next bailout installment the Greek politicians are eager to receive, the people will not get a penny, experts believe. Whilst the battle is on to save the banks and prevent a large-scale financial crisis, for the Greek people the price is simply too high. A year of struggling against harsh austerity measures has meant the government now faces an electorate vehemently opposed to another bailout. According to RT correspondent Sarah Firth, who is currently in Athens, people on the streets of the Greek capital are questioning when the Three – the IMF, the EU and the European Central Bank – will stop looking at ways to push more bailout money towards Greece and really come to a plan B.
Firth said that when it comes to the Three, many people now in Greece simply do not want their help – viewing their actions as being borne out of self interest. The bailout would certainly come at a high cost – further cuts in public spending, a raise in taxes and an aggressive privatization program that would mean the sale of many Greek public assets. “This is robbery, this is theft, this is [a] swindle,” believes Stylianos Chrysostomidis. 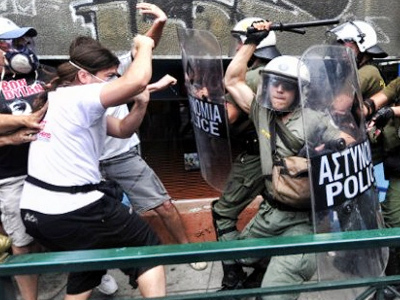 Tension on the streets of Athens continues to mount. 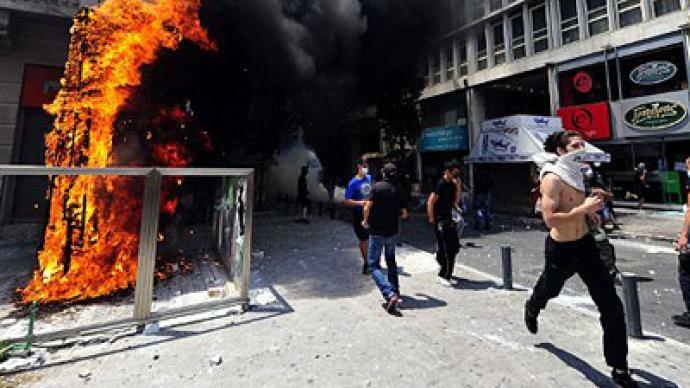 The violent scenes witnessed recently come as a disturbing testimony to just how far the situation has deteriorated. However, the country’s government is pushing for the cuts. 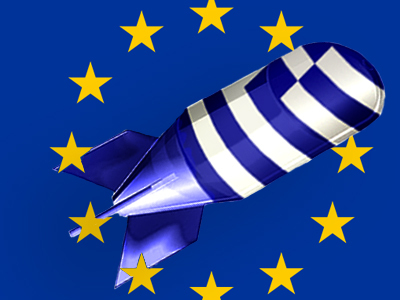 Financial journalist Demetri Kofinas agrees that what is happening in Greece now is “a hostile takeover”. He says that raising taxes will in no way help steer Greece out of the crisis. 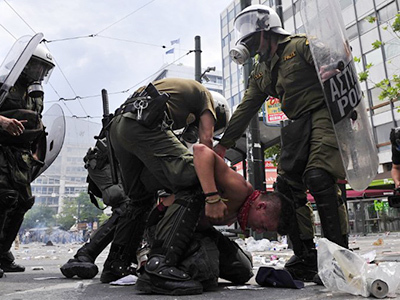 ­It is a fight that the people say they are not prepared to lose and journalist Zarkadoula Eirini witnessed clashes between police and protesters becoming increasingly angry after the austerity cuts were voted for by the Greek parliament.